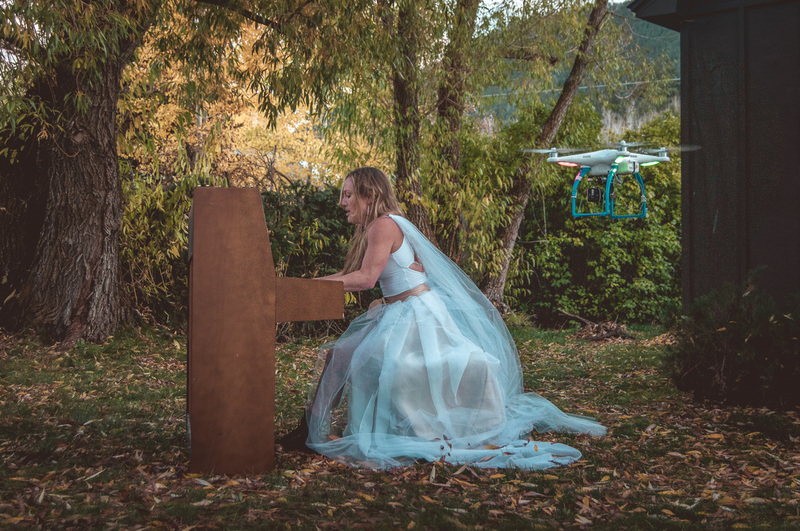 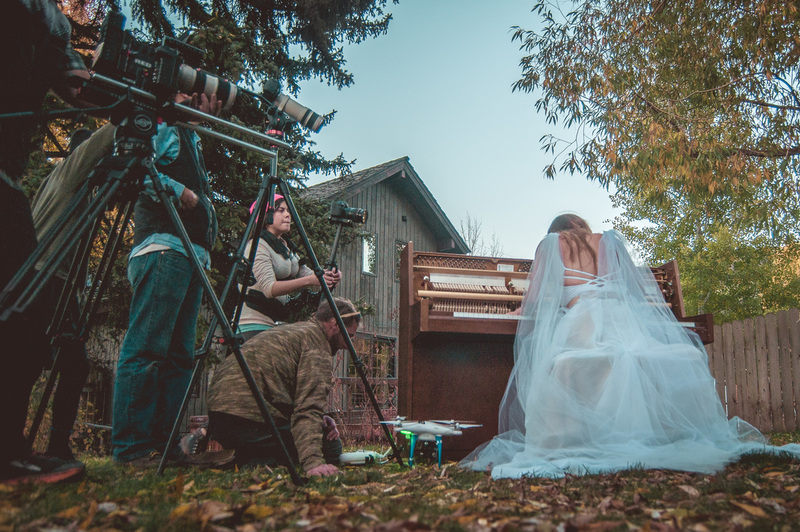 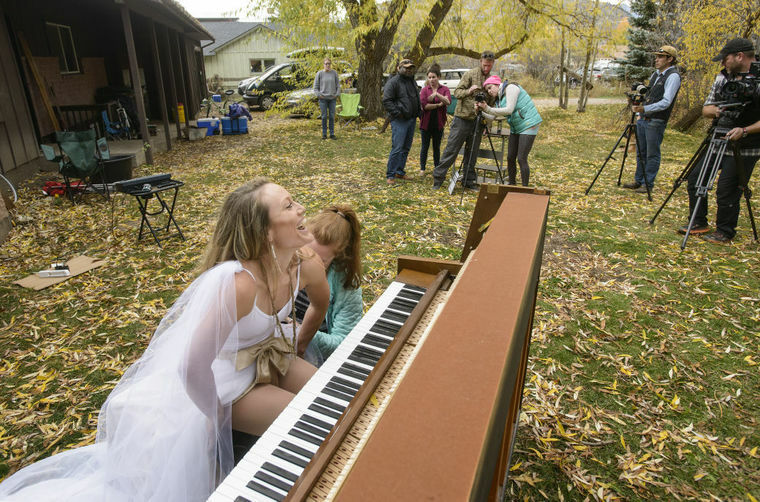 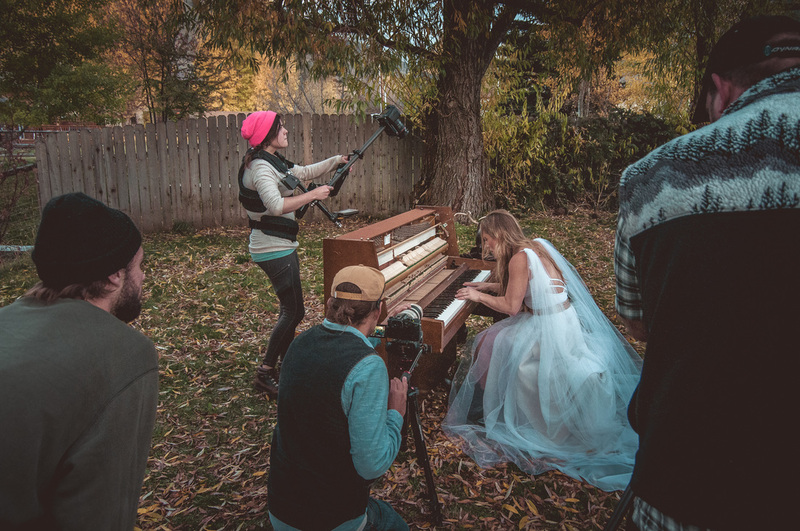 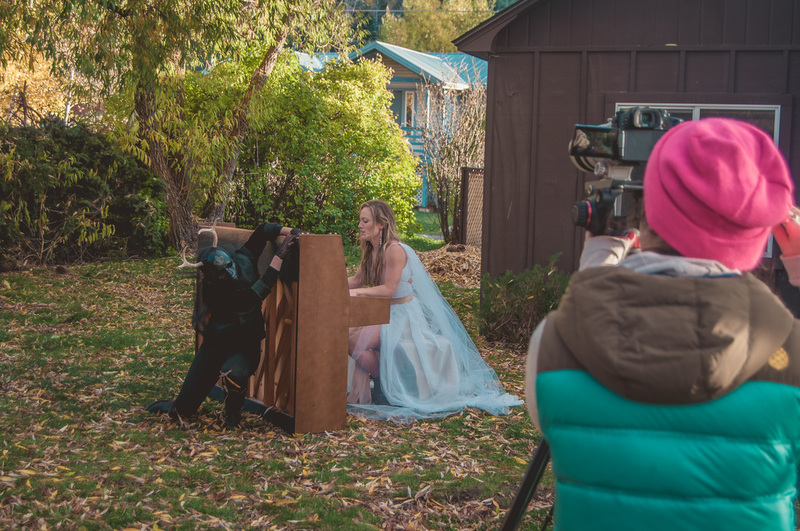 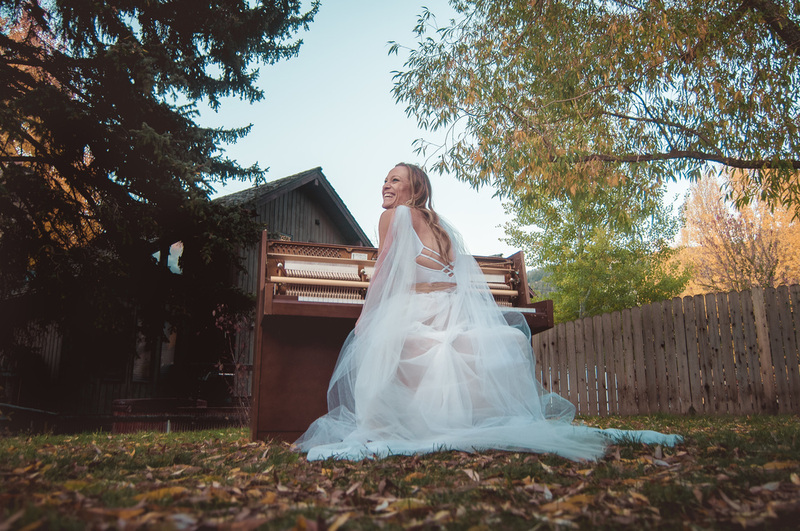 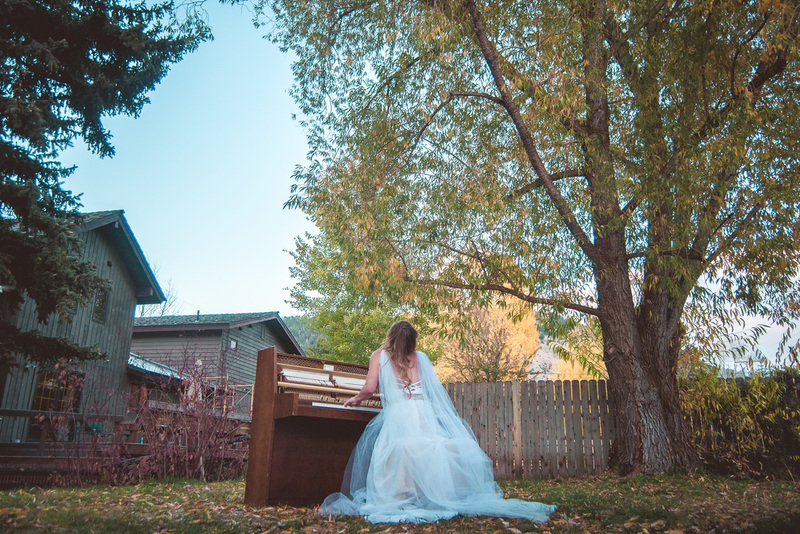 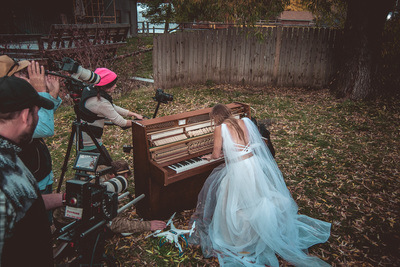 DAY ONE of filming: to shoot Maddy's piano solo for the film, the volunteer crew carried Maddy's piano out into her front yard. 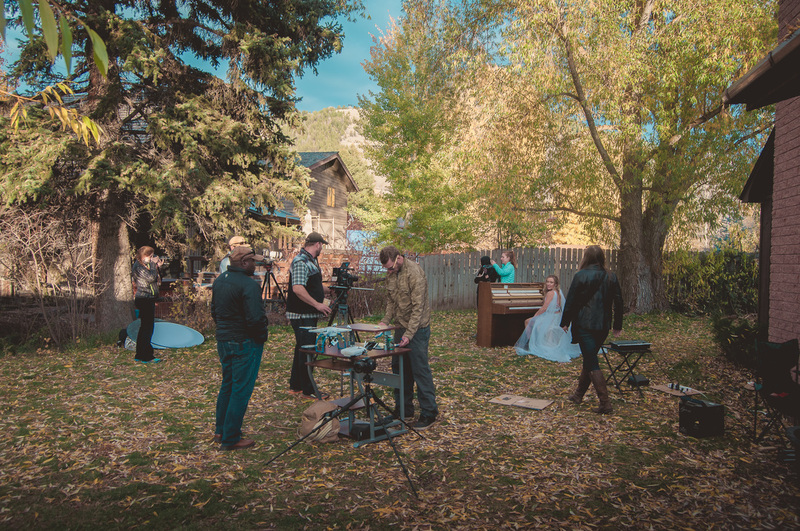 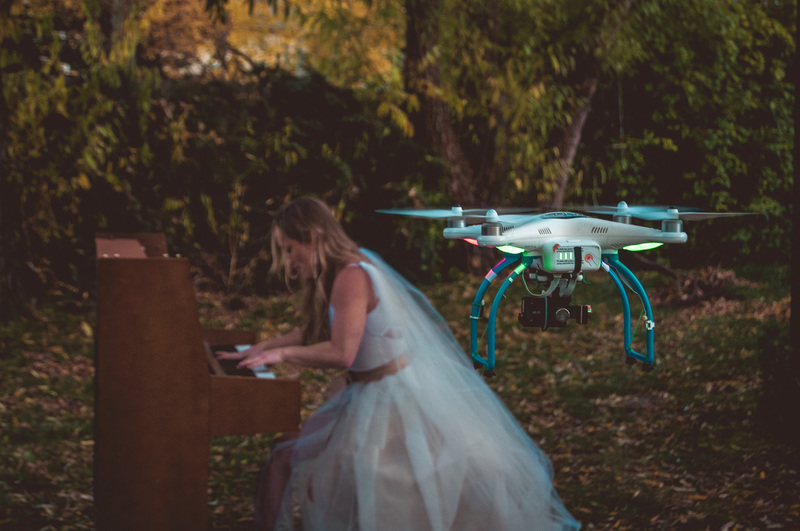 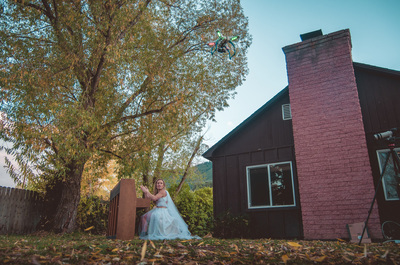 Maddy had to play along to the recorded "Baby Ask" track while the crew recorded various takes at different angles, with Kayla on the steady cam, Jason on the drone, and Andy on the Red camera. 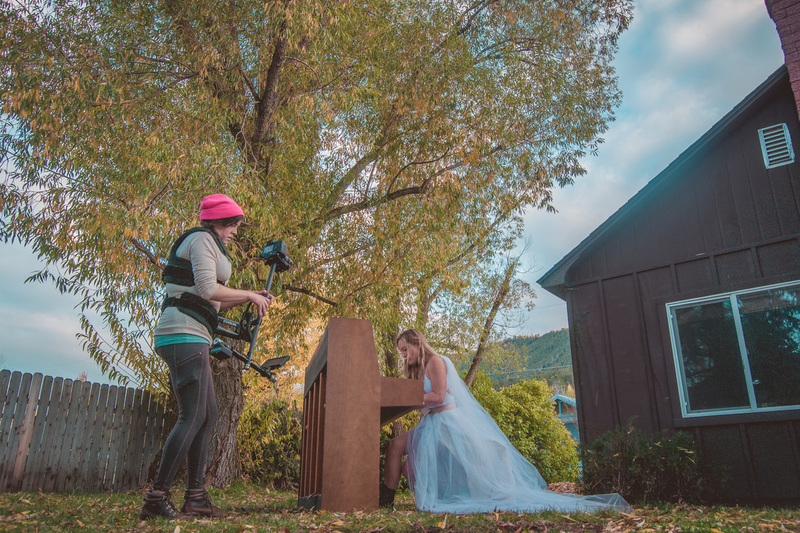 Filming was done in mid-October, so Maddy did her best to stay warm and keep her costume consistent from shot to shot with the help of Kristi, the film's costume designer. A smoke machine added drama to the scene, and finally Noelle came in to do some improvisational dance movement alongside Maddy playing. 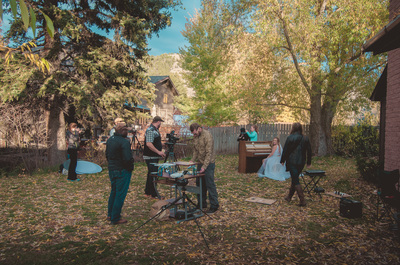 After months of preparation, Maddy could barely contain her excitement at seeing the film shoot come together.